It’s that time of year again…the leaves are turning and hordes of book lovers are descending on my home town. The Cheltenham Literature Festival is always such a great event, particularly when it’s on the doorstep. I am renowned for being useless at catching buses and frequently miss them … I swear I have timetable dyslexia! So it was a miracle that we made it to Chimamanda Ngozi Adiche’s talk about the impact of her work and fantastic feminist views. I have enjoyed all of her novels. My favourite is probably Purple Hibiscus (another lent out never to return) followed very closely by Half of a Yellow Sun. If you enjoy great fiction with superb characters and plot and fancy losing yourself for a few days, read them. You won’t be disappointed. The following day we made it (I know, weird right? Two days in a row and I negotiate the bus network!) to a superb discussion on the Syrian conflict hosted by Lindsey Hilsum. Lyse Doucet, BBC’s Chief International Correspondent was a great speaker; passion and knowledge abounded. I couldn’t resist buying a copy of No Turning back by one of the other panellists, Rania Abouzeid; an outstanding journalist with many stories to share. Alfie (my son and companion to the festival) was very happy with his signed copy. 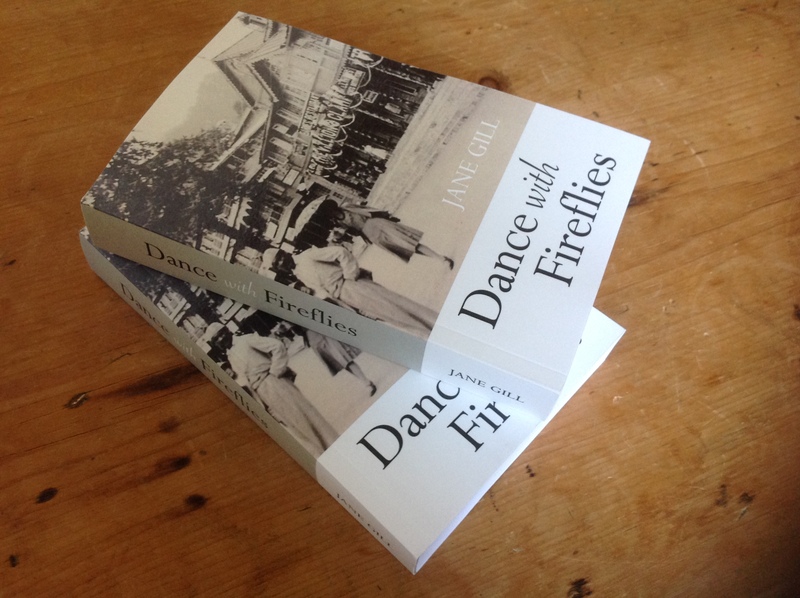 After a delicious smoked salmon and cream cheese crepe in the food tent and a discreet distribution of Dance with Fireflies bookmarks on tables, we made the last bus home…..unfortunately, the only bus back wasn’t exactly a direct route. We alighted at The Rising Sun pub on Cleeve Hill and walked through two fields of sheep as the light faded. Luckily I wore trainers and not heels (I’m not really a heel kind of person). Almost home, our house in sight, the mother of all rams, big, black and well hung, stood in the only gateway, blocking our path home. A bit of flapping about with the newly acquired Waterstone’s bag with the aptly titled No Turning Back book inside, finally worked on the stubborn beast and our journey was complete.